In the wake of the horse meat scandal and the risk to food safety admitted by the UK Environment Secretary, the UK Food Safety Authority (FSA) admitted that it was highly likely that there had been criminal and fraudulent activity in the meat supply chain. While the authorities ponder testing regimes, the IUF calls on employers and Governments to tackle the real cause of the problem - low pay, contract labour, unscrupulous employers, fear, loathing and desperation. Dutch-based meat transnational Vion has again become a target for action by the German Food Workers Union (NGG) following the announcement that Vion will subcontract slaughtering operations at its Emsteck (Lower Saxony) plant to a Romanian subcontractor whose workers will earn sub-poverty wages. Unite, Britain's biggest union, is demanding assurances over jobs as a condition for any new buyer, following Vion's announcement to sell off its UK food operations. At the Congress of the Danish Food Workers Union (Aalborg, 25-28 September 2012), union president Ole Wehlast announced that union pressure for an international agreement with Danish Crown would increase. 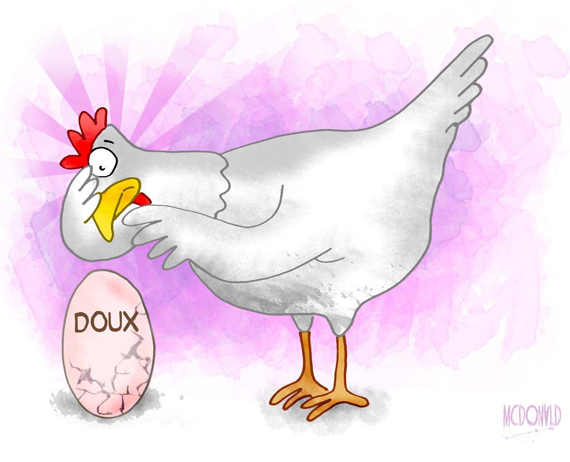 On September 10, 2012, the Commercial Court of Quimper (Brittany) confirmed the takeover bids for five of the eight sites of the fresh-products division of poultry group Doux. This means that 700 jobs out of about 1700 will be saved. No interest was shown in the Graincourt, La Vraie-Croix and Le Pontet sites, which, as a consequence, will be closed. Following the completion of the 90-day consultation period triggered by the announcement on July 5 of the proposed closure of the Hall's of Broxburn plant, Vion have reaffirmed to workers and their union, USDAW, that the plant would close. The IUF's European regional organization, EFFAT, organized a conference for union representatives in the meat sector in Berlin on June 19-20, 2012. The Scottish government set up a taskforce to look at the implications of the proposed closure of the Hall's of Broxburn pork processing plant shortly after Vion Food, citing unsustainable losses reaching GBP 79,000 per day, announced its closure plans on 5 July. Since May, work stoppages and overtime bans have been in place at JBS Australia's Dinmore beef plant when pay talks between the company and the Australasian Meat Industry Employees Union (AMIEU) broke down. On August 1, the Commercial Court of Quimper (Brittany) returned a decision on the some 15 takeover bids received since Groupe Doux was placed under judicial administration on June 1. All bids were rejected - including a one from a consortium of companies coordinated by oilseed producer Sofiprotéol - in favour of allowing Doux, associated with its largest creditor, Barclays, time to finalise their recovery plan.